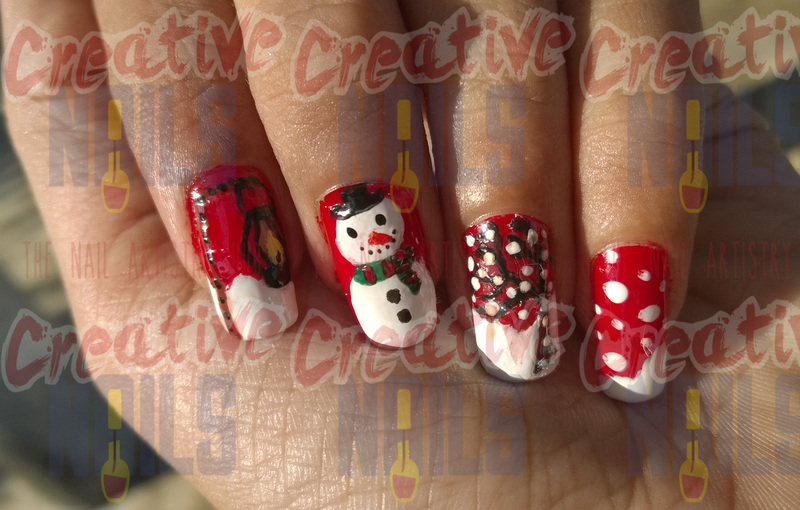 Winter Snow Man Nail Art! A snowman is a snow sculpture often built by children in regions with abundant snowfall. I always wanted to create my own snow man but unfortunately it does not snow in my place. So I sculpted it on my nails!! You people can also try it. Just have a big belly and a round face. Draw two eyes and a carrot shaped orange nose. You can then use a hat or a scarf to dress your snow man! Enjoy the winter with your very own snow man! !